Start your prep WELL ahead of time. Dont’ be the person pulling all nighters in the days up to the event – you will need all the sleep you can get to get yourself through the long days! As soon as you get accepted, get logged into the online platform and fill in as many of the forms as you cant (even if they aren’t due for a few months), why wait if you can do it now! Then start a list of things you need to prepare and start planning. So, you have your list started… and OMG, it’s SO long! Don’t panic otherwise you wont get anywhere. The first thing i did was list out all my tasks and put due dates on them. For example: I needed to get new postcard flyers designed and printed so had to get onto that so that they would arrive in plenty of time. You also want any printed materials to arrive nice and early just incase you have made any errors and need to reprint. Double, triple check all artwork! Ok, so from the get-go, you are bound to forget something so don’t panic! On set up day there will be others around, just be friendly and ask to borrow their scissors or tape! Again – write a packing list. I started mine back at the “preparing” stage so that I could keep adding to it. Life inStyle is now open for retailers.... Ekkkk!!!! SMILE! You have already put in most of the hard work, you are here – you have a beautiful stand and (hopefully) you remembered all your order forms, t&c’s and plenty of business cards. Try to keep upbeat and smiling all day. There will be influxes of retailers and times when theres just no-one about. Use the down times to write any notes on retailers you spoke to – I always find it handy to write down what they look like, where they are from, what they liked about your stand and a random fact about them (if you learnt one) – this helps later when you contact them as you can personalise the email a bit more and they will know you did really listen to them and they aren’t just another order for you! Talk about your pieces – if its handmade, shout about it! Tell them how excited you are to be here at First Instyle (wow, its amazing!). Be cheeky, ask if you can take their email address so you can contact them after the show….. just don’t be disheartened if they say no. When you get an order (and you will), don’t forget to fill in ALL their details. Take a business card if you can. And if you have the energy at the end of the day, get those invoices sent out asap! Don’t forget to eat… and drink LOTS! Ask a neighbour to watch your stall in quiet times so you can pop around the block for a walk and hydrate and grab some lunch. The show has officially closed… but your work is not over yet! Get home after that last day and take some time out! The Monday morning after First inStyle, I popped to the beach for a coffee and walk to get some fresh air. Four days inside a hall is a long stint without seeing daylight! And remember to give your Social Media and customers some love too. If you were super prepared before the show you would have also prepared email templates ready to go… I didn’t do this, but will definitely be doing it next time for sure! First things first, get your invoices sent out! When I emailed my invoices I added a nice email saying how nice it was to meet them and i’m so glad they found me at Life inStyle. I also included all my show information – just so they have it all for reference. Just bear in mind, some of the retailers will be shooting around to lots of different trade shows so they may not get back to you for a few days. After 4-5 days you can send them a little follow up email. Then, get started on emailing your potentials. The best advice I can give is to be yourself. I like to be quite chatty and not too formal in my emails and hope that my stockists/potentials will be like that in return. I always aim to create a friendly relationship rather than one that is too business-like! But you need to use the voice of “your” business in your emails. Make sure you create lists of potential stockists and date when you have contacted them. You can follow up in a couple of weeks time if you don’t hear from them. Sometimes they aren’t ready yet to buy in new product, in this case you can offer to keep their details and email when you have new ranges or to update them in a few months. 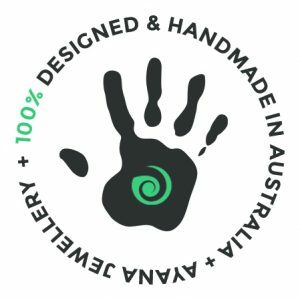 I have found, even four months later I am still getting replies and taking on new stockists – so good things do take time. Finally….. enjoy yourself and make the most of this amazing opportunity! 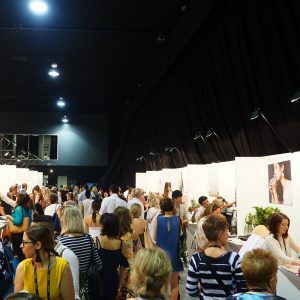 We will be exhibiting again at First inStyle in Melbourne – we absolutely can’t wait! Let the prep and planning begin! If you’re interested in stocking Ayana Jewellery, please pop by and say hi at the show or Contact us NOW! 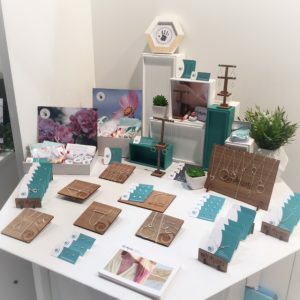 This entry was posted by Lauren Batten in Ayana Updates and tagged first instyle, HQ, life instyle, lifeinstyle, markets, tradeshow.